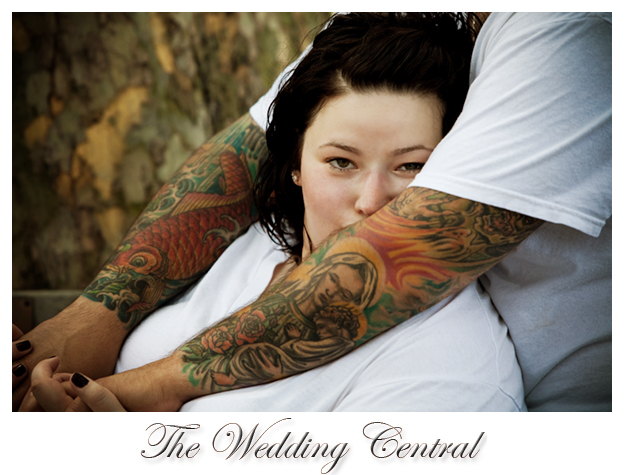 When I first talked to Mike and Courtney about their engagement session, Mike asked if he had to wear a long sleeve shirt to cover his tattoos. Quite the contrary, since the tattoos are part who he is, I decided to showcase them in a couple of pictures, this being one of them. Courtney is so beautiful, and she has stunning skin and eyes, so I was really looking for a way to accentuate these features. With these among other things in mind, we started their engagement pictures, and as I was about to take this picture, Courtney gently kissed Mike’s arms, totally unscripted, and I knew I was in front of magic. Everything that I was looking in one picture: without seeing Mike’s face, we see him through this tattoos, which are juxtaposed wit her porcelain skin, and those eyes say nothing less than I LOVE YOU. Thanks Courtney and Mike for being so great. Mike and Courtney will be married this October at the Brownstone in New Jersey.